Websites are – for all intents and purposes – the new brick and mortar. More often than not, it'll be your target's introduction to your brand, product, or service. So, you better leave a lasting impression. Otherwise, all the web traffic in the world won't lead to conversions. If you still run a physical location, your website needs to be equally equipped to generate leads and sales. If your business is strictly e-commerce, your entire success depends on an exemplary online store. The beginning stages of a website will be one of your business's biggest challenges. By leveraging the following feedback initiatives and tools, your page will conquer its rough patch and convert visitors into customers with smoothness and efficiency. The movie Whiplash famously coined the phrase "There are no two words in the English language more harmful than 'good job'." Unfortunately, this rings true with your current customer and client base. Don't get us wrong, your business and brand identity needs the customer relations and retention, but your loyal network won't always offer the harsh truths and valid criticisms that'll help your website thrive. After all, they're already drinking your proverbial Kool-Aid. A website "visitor" is not a customer. A visitor will only become a customer if your product, service, or brand speaks to them, and if your website is effective at converting leads. Therefore, visitors with the best possible insights to your website are not those you've successfully converted into customers, but those lost leads who've taken a hard pass on what you're offering. These unsatisfied folks who've turned their nose up at your website can offer most relevant data to ensure your website corrects any potential shortcomings. A common trend shared by many websites is the use of live chat on websites. It's the simplest, most accessible way to gather instant visitor feedback. Tools such as pre-chat surveys with a few easy questions are incredibly valuable. Also, live chat has proven success. A study conducted by ICMI shows there's 4.5x more of a chance that visitors will go back to your site after using the live chat feature. Further studies show that customers expect instant communication and are only really willing to wait approximately two minutes before they get impatient. Unless you're a larger business, it might be unrealistic to fund the 24/7 support required to keep visitors satisfied and to push conversions. You know what people don't like? Pop-ups. Yet, many businesses choose to employ exit-intent popups, which spring into action when visitors are leaving websites and track a visitor's intent via mouse movement. If a user intends to exist a website on their mobile device, it's tracked via pressing the back button or double-clicking the button. 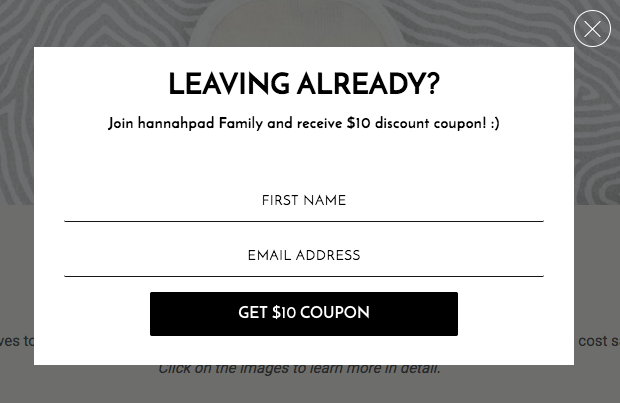 Exit-intent pop-ups can actually be effective since there's an off-chance unsatisfied visitors may actually answer why they've left your website if the survey is short and simple enough. Then, you'll have access to the valuable data you need to improve your website. Please note that Google has greatly devalued intrusive pop-ups, particularly on mobile devices, meaning it is integral to be careful when utilizing this tool. There are many different platforms that can produce and help you embed surveys throughout your website. It's a simple matter of an HTML code you can paste onto any page. Aside from providing valuable visitor feedback, one of the prime benefits of embedded surveys is that they blend seamlessly with the design of your website. Since surveys are commonly embedded at the bottom of any given page or on the thank you pages or maybe even emails, you won't have an abundance of success with response rates since even converted customers would have to scroll the entirety of the page just to see it. Naturally, visitors who weren't fond of your website won't stay long enough to get to the survey and they possess your most sought-after feedback. 70% of the world uses emojis to properly convey their emotions. They are a truly universal language understood by all. AtEmojion, we provide an instant feedback tool where emojis let you know exactly how visitors feel about your website. Emojion's feedback tools are effective because they take the effort out of surveying. Visitors don't necessarily want to take the time to write their constructive criticism. Our feedback emojis let you visitors provide the relevant information at the click of a button. With Emojion, you're able to ask specific, customized questions. Your website visitor can then respond via emoji so you'll have even more valuable, relevant feedback at any part of the page. Plus, you can customize feedback questions page-by-page, offering versatility when gathering data. Visitor feedback might be more valuable than any other feedback. Visitors, as opposed to converted customers, will let your business know where it's going wrong with its website. Thankfully, there are several effective tools you can use to acquire the data that'll allow your website to progress from the difficult early days. While it is best to use a variety of these feedback tools, Emojis prove to be one of the most effective, accessible options. Unlike live chat, you don't need to sink your funds and overburden a customer support team. Also, emojis are easily accessible—even if a visitor isn't scrolling your site for very long they can provide at least some information, whereas embedded surveys require long visits. And exit-intent pop-up surveys usually go ignored because most visitors are irritated popups. Still, even though each has their own unique pitfall, learning to leverage these tools effectively will garner tons of useful visitor feedback and bolster your marketing strategies.